I grew up around that show, my family loves it. I never really got into it until I started watching the original series and the movies a couple years back. That's what I mainly watch, I'm not really into the other stuff from the franchise. My favourite movie is Wrath of Khan, hands down. The Voyage Home (the one with the whales) after that and I don't really care for the other ones, but I still enjoy 'em if I catch it on tv or something. I'm really looking forward to the new movie coming out next May, it's just what the franchise needs. Great cast and the guys behind Lost and Transformers are in on it as well. I'm pretty excited for that one. 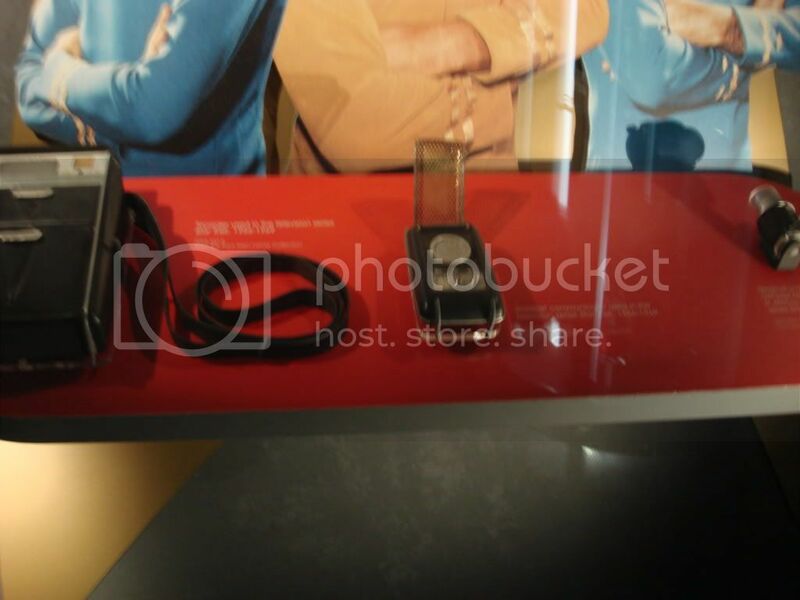 A couple weeks ago, Paramount released a poster for the new Star Trek movie and a fan did some work on it, giving it its proper shades of colour since then. Hey Canada that's really cool. I've always been a Trekkie. 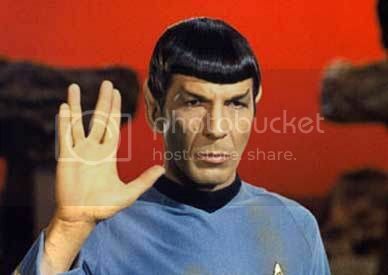 "Live Long and Prosper" oh friend of the "Great White North"
The original cast films and Deep Space 9 were always my favourites. For the needs of the many, outweigh the needs of the few. 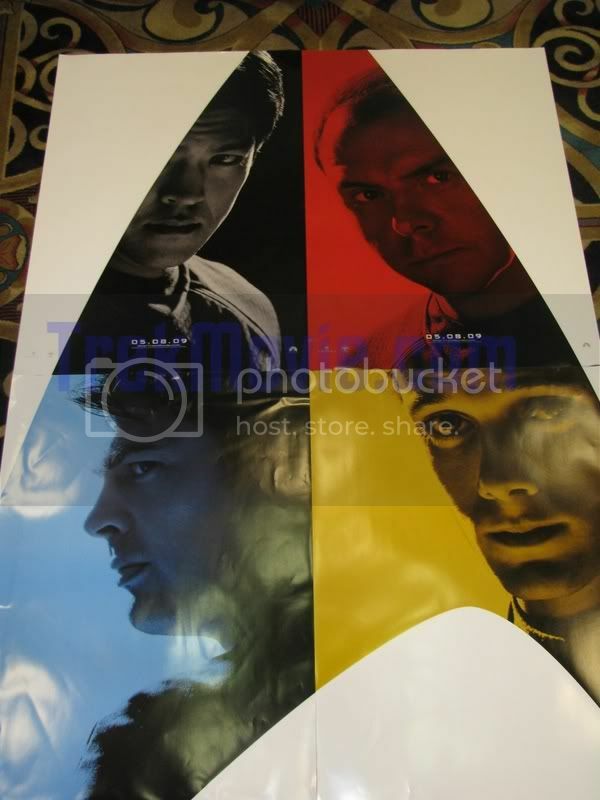 Anoter poster for the new movie was released at Vegas Con, which features John Cho as Sulu (shaded grey), Simon Pegg as Scotty (shaded red), Anton Yelchin as Chekov (shaded gold) and Karl Urban as Dr. McCoy (shaded blue). Paramount released pics from the new film to hype up their trailer that's coming out next month. I like the Next Generation and sometimes Voyager but just couldn't get into the original series although the movies weren't too bad. Chekov looks...not like Chekov. At all. Oh well, at least he's actually Russian! Chris Pine looks more like Chekov than Kirk, to me, but obviously looks aren't everything in acting, so I'll go with it. Everybody looks pretty good, though, really! I'm totally looking forward to seeing Zachary Quinto as Spock and Simon Pegg as Scotty. I'm glad the costumes still look old-school. The bridge, though, hmm...I didn't expect them to keep the old one - that's just a little too dorky - but sheesh, it looks even more "modern" than Voyager. 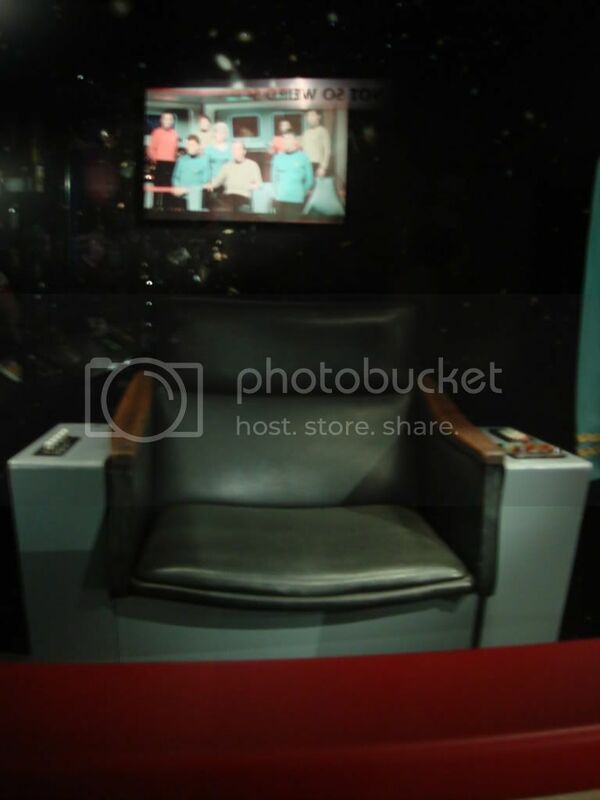 A 60' show communicator and I believe tricorder and a medical scanner Mc coy used. I think it's the hair that doesn't really suit Chekov, but I'm going by the performance instead of appearence as well. Zachary Quinto and Simon Pegg look great for the part, especially Karl Urban (McCoy) having his arms crossed in that shot. 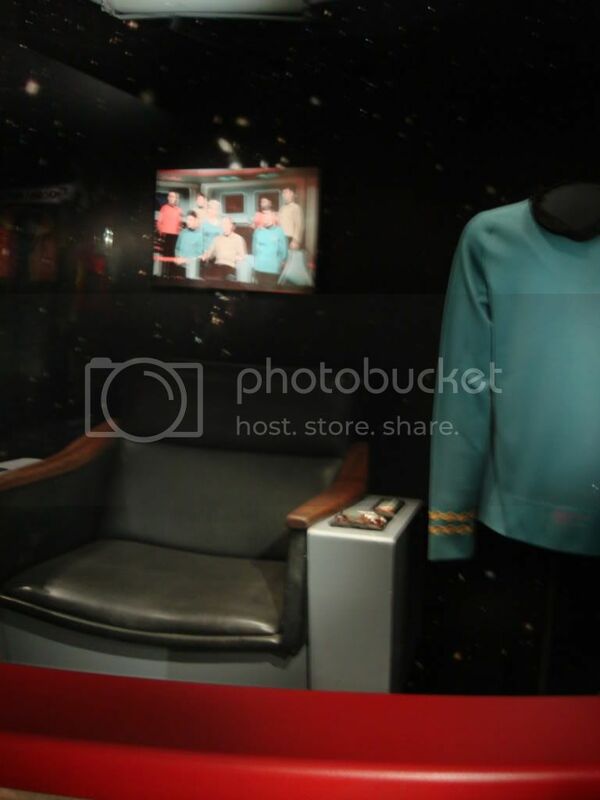 Hopefully the cast nailed their posture as well, because Pine looks great in the captains chair, very Kirk-esque. The only thing that looks traditional on the bridge is the lamps (sitting by the red-dressed girl whos fate is pretty predictable. ) and the red rails surounding the bridge. We'll see more when the trailer comes out next month and hopefully there's more good things to say. Wow! Thanks for posting these, those are great pics. 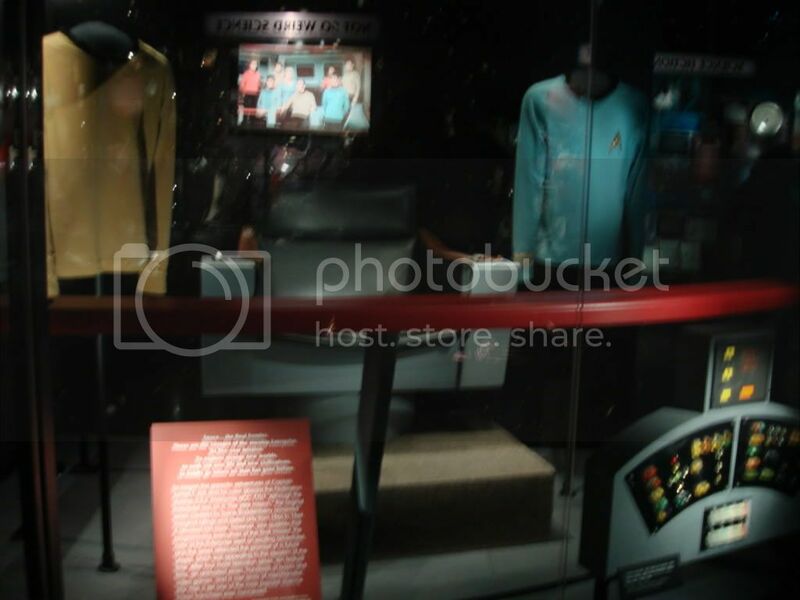 Are those displays still up in the science musuem? That would be very cool to see. 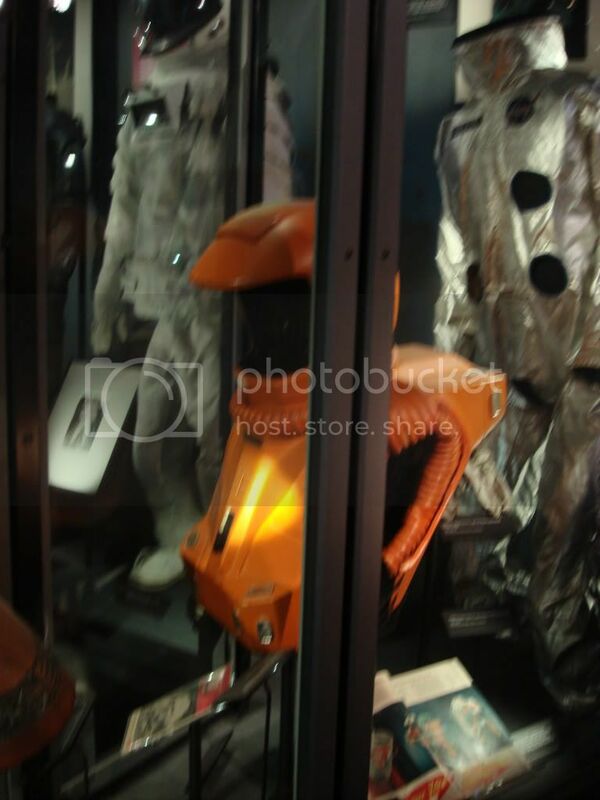 R2D2,the Robot from lost in Space, a cylon from Battlestar Gallatica and the Dog looking creature from Buck Rogers also The cone Head mask from the Movie and The little robot from Buck Rogers. and right next door to the Space Needle.You can kill a good portion of a day there. They released the trailer online today and I'm totally geeking out!!! Captain's log: Star Date 3321.9: We are circling Uranus searching for Klingons. Watched it last night where the Klingons took over the planet of peaceful people who finally had to use their pure energy to stop a major war. And another is a TV Spot which is taken from the "Trailer". I may check this movie out at the IMAX Theater. I have never yet seen a feature film at the IMAX. I'm hopeful that it will at least as much acting as action. Funny, how the Swiss, Beligum, and the French get May 6th Release Dates ? ? ? 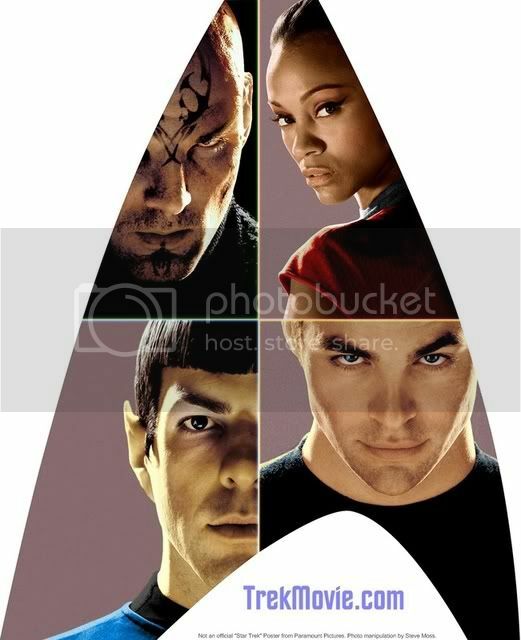 The dvd for the new Star Trek movie comes out Tuesday Nov 17. My daughter manages a video rental store and brought home the movie. It has an extra disc that has lot's of cool extras on it. Yes, I'm a trekkie. Have been since the orginal series was on tv in the 60's when I was a kid. My hubby is and by default out daughter is. She has actually met Chris Pine a couple of times. A real nice guy. His fan club call themselfs the "Pine Nuts". Anyway, we will be watching the movie this weekend. Time to get the popcorn out. 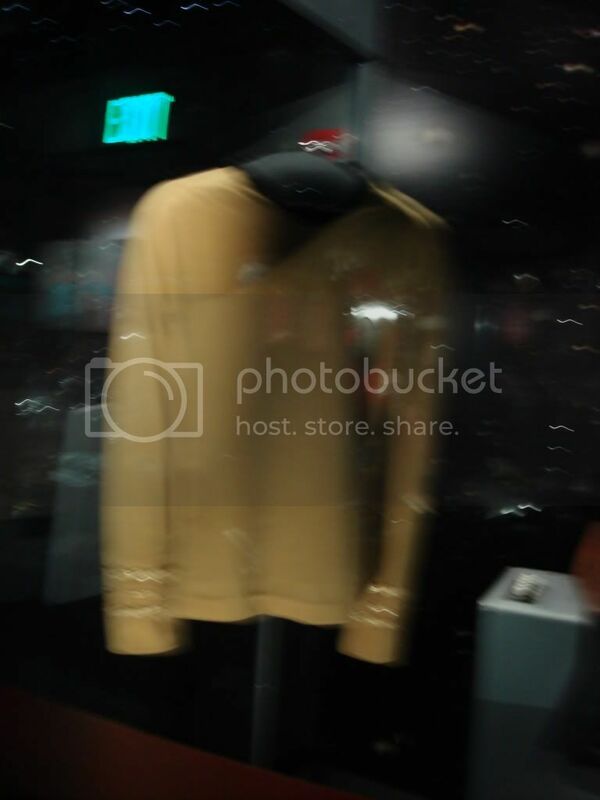 This looks to be an interesting site for trekkies. Was still being constructed last I checked but will probably be up in conjuction with the DVD release on Tuesday. The next movie is due out in 2011. I was hoping for a 2010 release. Will be picking up the DVD Tuesday. What are the extras on the 2nd disc ? ?